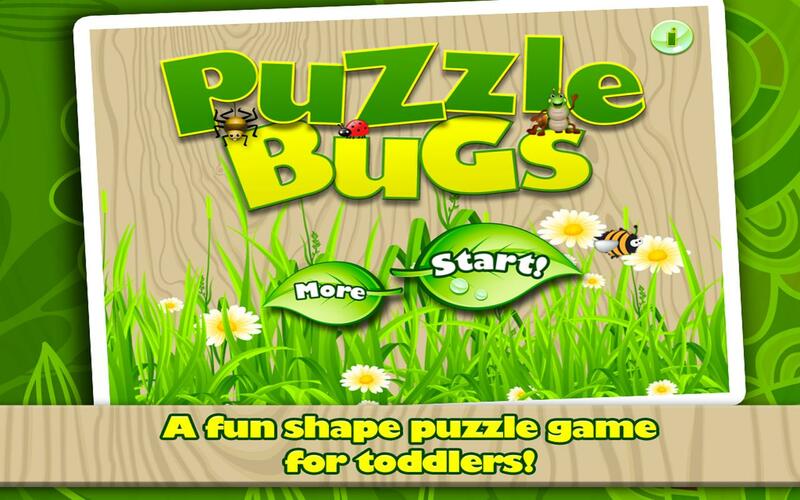 Introducing Puzzle Bugs - insect puzzles for toddlers. Everybody loves to solve a puzzle, even from an early age. Puzzles can increase attention span and even teach your child how to solve problems - the issue is; puzzles are expensive and boring after you have completed them once, so we have included 15 virtual shape puzzles into 1 free application. Puzzles are great fun to solve and your child is guaranteed to be kept engaged for hours on end using Puzzle Bugs. The vibrant colors and beautiful cartoon graphics will keep them mentally active and constantly trying to solve the puzzle by placing different pieces into different sections. In the 21st century, children are captivated by technology, still retain the love of puzzles and most of them quite like bugs; we wanted to combine the three element into one application that young children can enjoy and Puzzle Bugs is exactly that. Upon selecting a puzzle, the player shall be greeted with a blank grid with puzzle pieces scattering the sides. They can then easily drag and drop each piece into the right place - and it will stay. The application includes 15 insect themed puzzles that toddlers will simply love and spend hours trying to solve all of them! After a puzzle has been completed, leaves will fall and they can be blown away with a tap! You can play with you child or they can learn and solve independently on the stunning Retina display. It’s child-friendly as there are no links to social networks, no in-app purchases and Puzzle Bugs does not collect personal data. You can have the peace of mind knowing that your toddler is playing a child-friendly application and learning whilst doing so. Welcome to the beautiful and vibrant world of Puzzle Bugs! 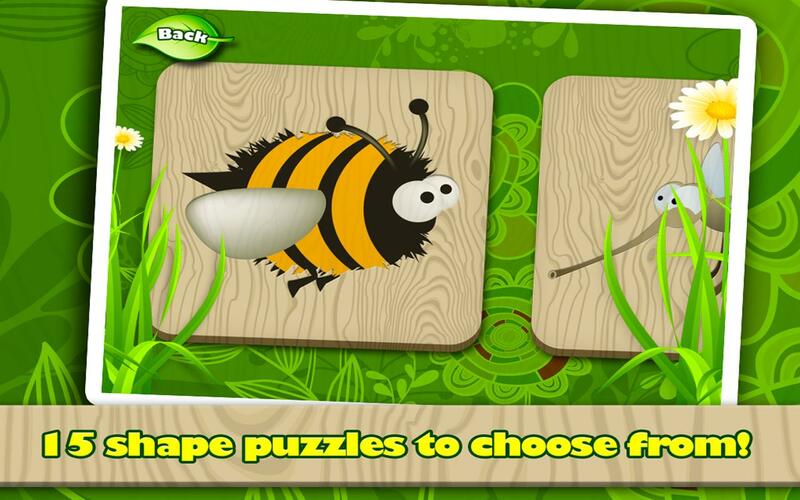 Features • 15 wonderful insect themed shape puzzles for children ages 1 to 5! 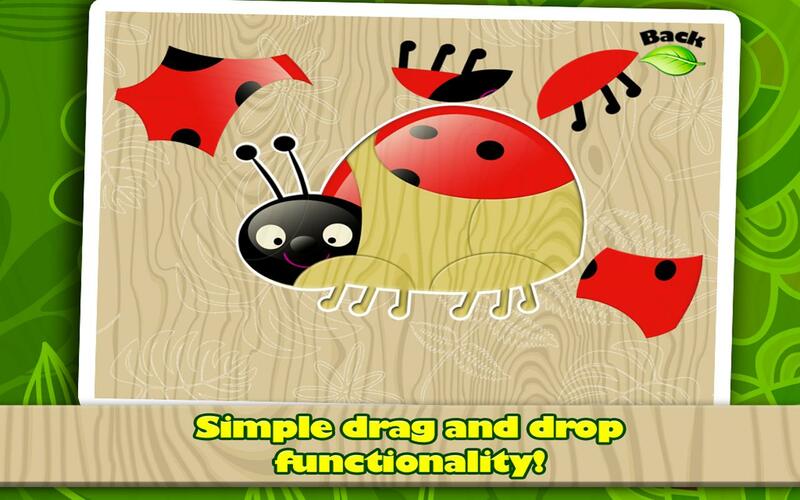 • Simple drag 'n' drop functionality that children will find easy to learn and control! 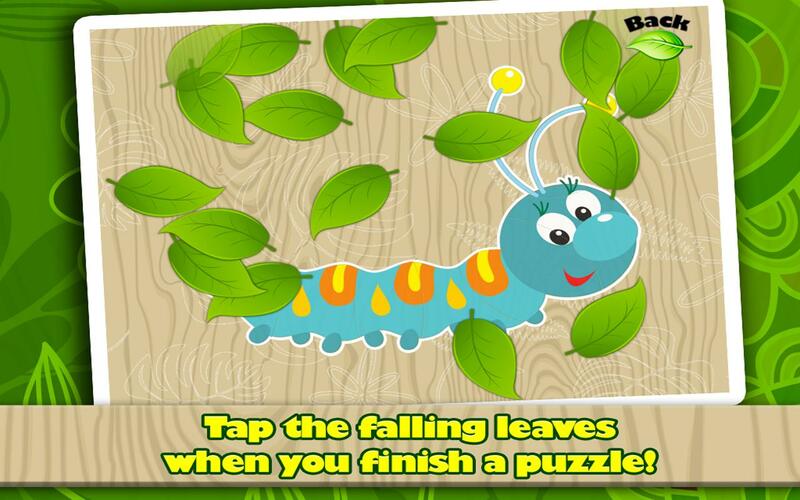 • Blow away falling leaves when a specific puzzle is completed! • Play together or have your child play and learn independently! • Stunning Retina graphics! • Child-friendly!